My great-great grandfather was born in a workhouse in Smithfield. My great grandfather ran a café on the corner of Market Road and Caledonian Road in Islington, cooking breakfasts for the herdsmen and abattoir workers who laboured in the Metropolitan Cattle Market. I have nothing of theirs. No possessions; no photographs. Yet, I have a fleeting sense of what their lives might have been like from the stories that were passed on by other family members: my great aunt describing the Zeppelin over Finsbury Park during the first world war; my grandmother’s close shave with a Messerschmitt thirty years later; my grandfather, a fireman during the blitz, telling me about taking to the sewers around St Paul’s cathedral one night in December 1942, when he and his crew had to escape the inferno that surrounded them. In case you missed it, I’ve just added the profile I wrote for WIRED on Ferran Adrià’s quest to open a centre for innovative thinking on the site of El Bulli. You can read it here. An essay of mine is included in the upcoming thought leadership book Connecting Minds, Creating the Future – along with work by Joseph Stiglitz, Hans Rosling and Bill Gates – which is being published by Trampoline. The publication date is yet to be confirmed, but will post it when I know. This is the Newsweek cover story for the edition dated May 7th. Boris Johnson is late. Five minutes after the scheduled start of Mayor’s question time—a quasi-monthly opportunity for members of the London Assembly to demand a public accounting from the city’s top elected official—he arrives at last, wearing a backpack over his raincoat and carrying a large takeout coffee, his schoolboy thatch of platinum-blond hair even more disheveled than usual. He stuffs the backpack beneath his desk, casually tosses down a crumpled copy of the agenda, and removes his coat to reveal the traditional garb of the British ruling class: a navy-blue suit. “We’ll take item two while the mayor composes himself,” the chairperson, Jennette Arnold, says dryly. The assembly members are seated in a horseshoe with Johnson at the open end, a lone figure in an expanse of purple carpet, his back to a big window overlooking the gray expanse of the Thames. As the Conservative mayor begins delivering his report, Labour members of the assembly try to shout him down, and the session soon degenerates. Arnold bangs her gavel. “I will not have this question time turned into a campaign,” she chides. Like it or not, however, that’s exactly what the tumultuous meeting is—and it’s only a warmup. On May 3, Johnson is facing off in a rematch against one of Labour’s wiliest campaigners and most ruthless operators. The victor will run Europe’s largest and most diverse city for the next four years. In their last contest, four years ago, Johnson defeated the then-two-term mayor, Ken Livingstone. No politician in the city is more entrenched in London politics or more skillful at street fighting than Livingstone, a man who earned the nickname “Red Ken” in his titanic struggles against Margaret Thatcher in the ’80s, when she was prime minister and he led the now defunct Greater London Council. 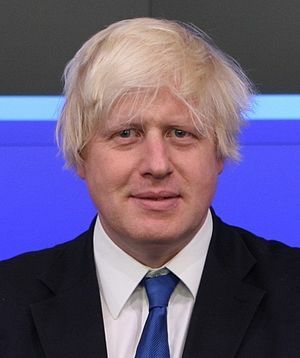 During the 2008 race, Livingstone called Johnson “the most formidable opponent I will face in my political career.” In the run-up to this week’s vote, opinion polls seesawed, but Johnson seemed to be pulling ahead in the home stretch. The cognitive and motivational processes that influenced your impulse purchase of a double-chocolate muffin at the coffee shop this morning may not be as straightforward as once thought. Traditional economic theory would say that the purchase was made because of the “utility” of the muffin, meaning that, at that moment you made the decision, it was based on a set of judgments derived from the way you allocate your resources across a range of goods and services in order to gain satisfaction. One of the limitations of economics is that it is abstract. Its principles are a series of hypotheses that stress efficiency and idealised versions of human behaviour: it emphasises what people ought to do in order to achieve optimal outcomes. Economics is rooted in the ideal, not the human. The problem is that people don’t always do what’s most efficient. Psychological observation has offered us insights into what people actually do. But psychology and economics don’t paint the whole picture: economic theory works well when describing large groups, and poorly when analysing individuals. Psychology can give valuable insights into individual behaviour, acting as a good descriptive tool, but it lacks coherence when it comes to theory. Psychologists might point out that they were conducting tests long before economists, but neither discipline possesses pure science. The theory of utility might explain why you buy a muffin, but it stumbles when explaining why you gambled your inheritance or volunteered at a homeless shelter. Choice behaviour based on cost-benefit analysis leaves little room for ambiguity. However, new ways of examining economic behaviour are being forged by a growing number of interdisciplinary research teams from the fields of neurobiology, experimental psychology, mathematics and social science. They are developing an approach based on biologically plausible models, using tools such as neural imaging, and analyses of how chemicals in the brain or neurons operate, rather than grand theory. Using data gleaned from controlled economic experiments, departments of neuroeconomics — many barely five years old — are attempting to fill the gaps in our knowledge between what people should do, and what they actually do. The aim: to create an algorithmic model of human behaviour through a synthesis that blurs the border between the social and natural sciences. The Center for Economics and ­Neuroscience in Bonn uses neuroimaging to investigate the neural basis for social and economic decision-making. 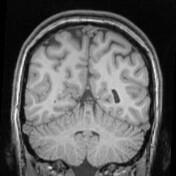 It claims to be the first lab in Europe to scan the brains of two people taking part in an experiment simultaneously. Each subject was given a series of problems to solve and was rewarded with money for correct answers. However, one was given more money than the other. The subjects’ brainwaves were recorded as they solved the problems and as they received their unequal rewards. Scientists analysed data from the ventral striatum, the part of the brain most activated when a subject receives rewards. They found that the strength of the activation doesn’t just depend on what an individual receives — it’s made stronger or weaker depending on what others receive. The activation in the subject of the test who received a reward, but was aware that the other subject was getting more, was weaker. This suggests that, for the subject who was receiving less, comparison with what the other subject gained was more important than the sum received. The other insight: the more active the reward centre in the brain, the less rational thinking seems to play a role, which helps to explain fluctuations in financial markets and — perhaps — why you decided to buy a chocolate muffin as well as a raspberry one. First published in the May issue of WIRED. Forgive me for stating the blindingly obvious, but it’s clear that, technology is converging in mobile devices. The first quarter of 2011 saw a momentous shift: for the first time, sales of PCs were overtaken by sales of mobile devices such as smartphones and tablets. And, while we don’t know exactly the form our devices are going to take in the next few years, there is a very clear trend towards what many of the speakers today have talked about – a connected device that travels with us wherever we are that is constantly producing vast amounts of data about who we are and what we do. A device that’s our primary interface with the world. Each of our devices – our tablets, phones, gaming consoles, devices in our cars, the sensors that will be an increasing part of our lives as the internet of things develops ­– are generating a vast stream of data, in fact, far more than we can use. Wal-Mart, the biggest retailer in the US, handles more than 1 million customer transactions an hour, feeding databases estimated at 2.5 petabytes: 167 times the number of books in the Library of Congress, and there are many other examples of this data overload. Businesses now view data this data we’re all generating as a raw material – an economic input on a par with capital and labour. Data has been described as “the new oil”. Large value is being unlocked. Insights that were previously unknowable are coming to light. We’re discovering new things, building new businesses, realizing new opportunities. And another benefit is what I’d like to talk about today: we can help people live better lives. Health – counterfeit drugs in West Africa and beyond. Displacement – the global refugees crisis. Information – what happens when you can’t rely – or trust – your government? All three are using mobile in dynamic and original ways.